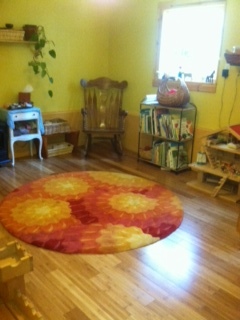 Our Recycled Class Room is where we start our days with Morning Circle. 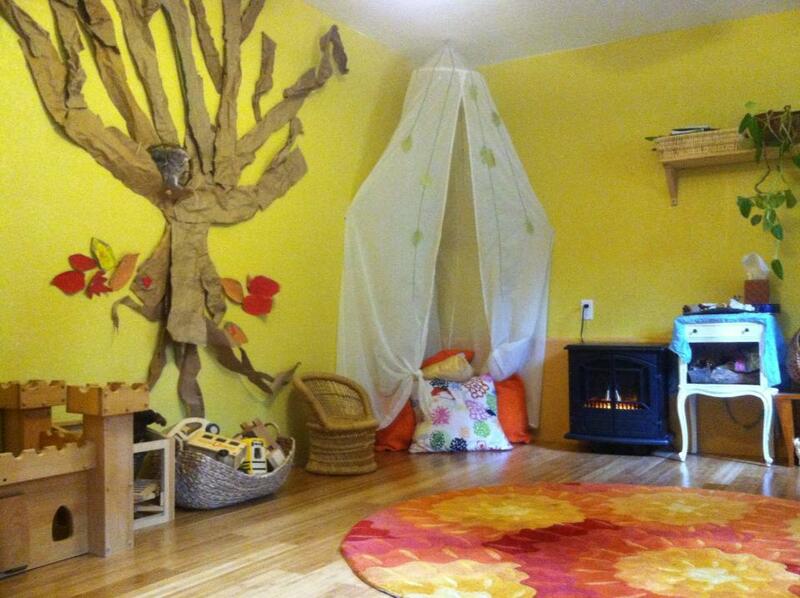 We also spend time daily here with indoor play and have our rest and story time here. 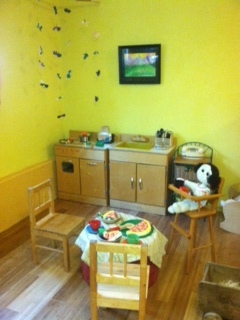 The Recycled Classroom is filled with reused, recycled, and repurchased toys and furniture. The classroom is an example of how fun, interesting, and beautiful a room can be that is created from all previously used items. At Sprouts, we do our best to be responsible consumers. Our intention is to promote responsibility in regards to our environment and what comes from it. In furnishing the room, we have made the choice to purchase reused furniture and toys so that we can emphasize and highlight the worth and functionality of these items and this style of consumerism. A foundation that we build on at Sprouts is one of the mindfulness of our impact on this planet. We strive to provide useful examples and ideas of reusing and recycling so that future generations may see that it is possible to create without using new resources.